September the 6th will always remain a holiday for Pavel Schnabel. In 1968, he began a new life on this day after he had crossed the Czechoslovak-German border – but not in Rozvadov! After witnessing the events of the so-called “Prague Spring” as a student, he went to his parents’ house in Liberec in order to prepare for his escape from Czechoslovakia from there. Despite the tanks and the armed soldiers on the streets of Prague, he had already made up his mind to get out of the country. He realized that after the Prague Spring events, he could no longer imagine a future in Czechoslovakia. In the morning of September 6, he set out on the journey and took quite a lot of baggage on the way. Even though he didn’t have any official permission to leave the country, he hoped that in the light of the political atmosphere of those days and a telegram that his father had sent him from Germany, the border guards in Rozvadov might let him cross the border. However, his plans were thwarted at the border. Although he wasn’t directly threatened by them, they sent him away. However, this did not deter Pavel Schnabel from his plan. He crossed a distance of about 60 kilometers and tried to cross the border again nearby Domažlice. This time, he made it surprisingly easily into the Federal Republic. Although he was in the end a little bit disappointed about the fact that his escape was so easy, the important thing was that he achieved his goal. 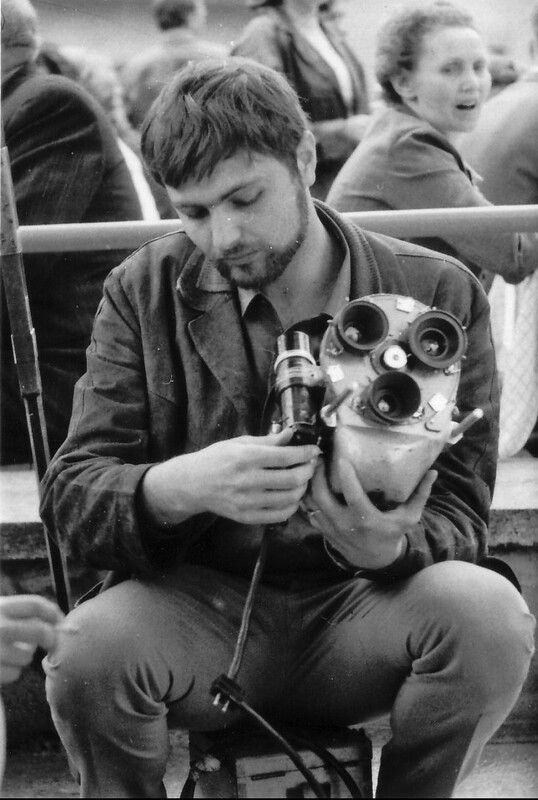 Pavel Schnabel turned out to be a talented cameraperson and director and achieved a remarkable career in Germany, winning numerous awards, including an Oscar. His first-hand experience from his flight from Czechoslovakia and crossing the border has always proven to be helpful in the advancement of his career. Pavel Schnabel was born in 1946 in Olomouc, the son of a Jewish doctor. He spent his early childhood in Brno and then the family moved to Liberec. Taking pictures has always been his great passion and thus, in 1964, he began to study for a cameraman at the prestigious Film and Television Academy (FAMU) in Prague. There he witnessed the violent suppression of the democratic process revolving around the Prague Spring first hand and in the light of this experience he decided to leave the country. Being very lucky, he made it to West Germany on September 6, 1968. 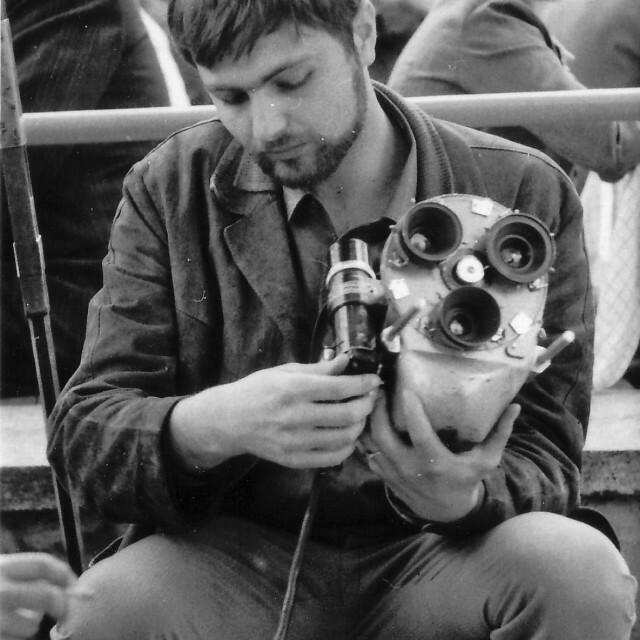 Even though he didn’t have a proper diploma, he was able to find a job with a film project and then to make an outstanding career as a cameraman working for a number of TV channels. Word about his qualities soon spread around and this allowed him to produce his own films. Since the mid-1970s, he’s produced a number of documentary movies, combining the writer, director and cameraman in one person. His movies won countless national as well as international awards and distinctions. Although his movies deal with a number of different subjects, the themes which have affected himself and his family, such as the theme of the “fatherland,” “emigration,” or the “Holocaust,” have always played an important role in his movies. Rozvadov, (in German: Roßhaupt), today, (as of January 2013), counts nearly 800 inhabitants. 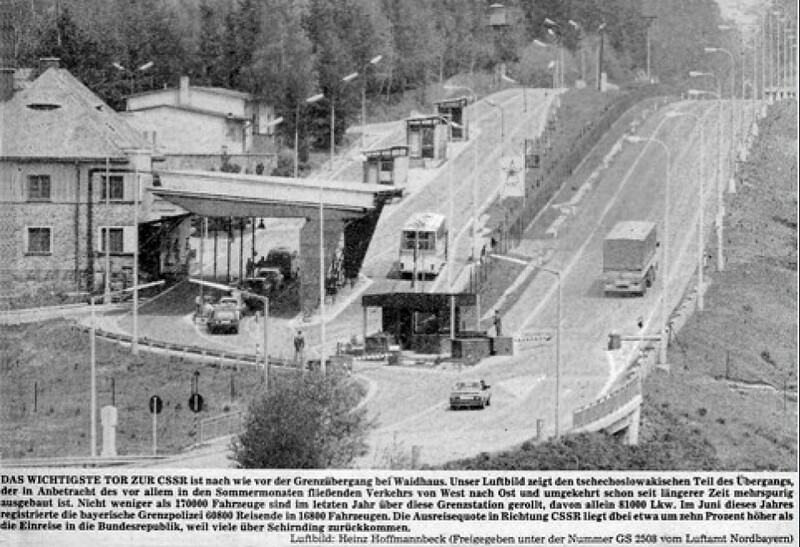 The border town was an important border crossing in the era of the Cold War, leading to the neighboring German village Waidhaus, which is 6 kilometers away. Waidhaus/Rozvadov is one of the most notorious border crossings between East and West. On the Czechoslovak side of the border, fortifications were built as soon as 1949 and border guards found a new home in the barracks built for this purpose. In 1952, customs controls were introduced on the German side. 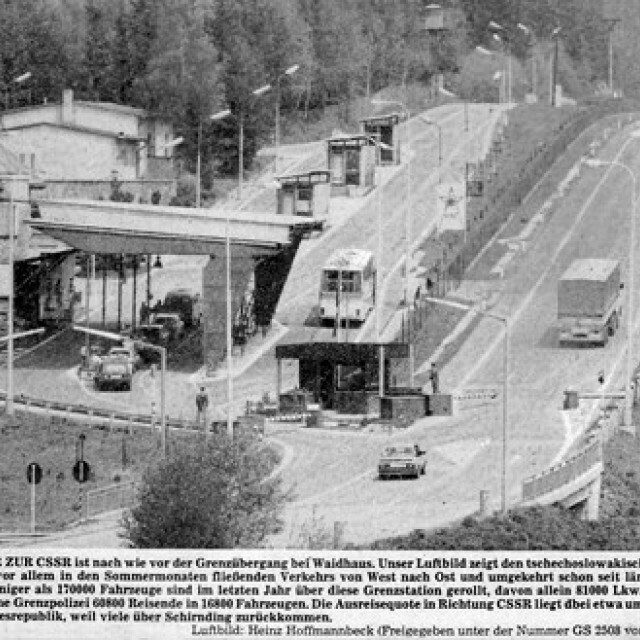 Until 1954, Waidhaus remained the only border checkpoint into Czechoslovakia. The fall of the Iron Curtain in 1989 and the end to separation was finally represented on a symbolical level by a meeting in Rozvadov by the foreign minister of the Federal Republic of Germany, Hans Dietrich Genscher, and his Czechoslovak counterpart Jiři Dienstbier.